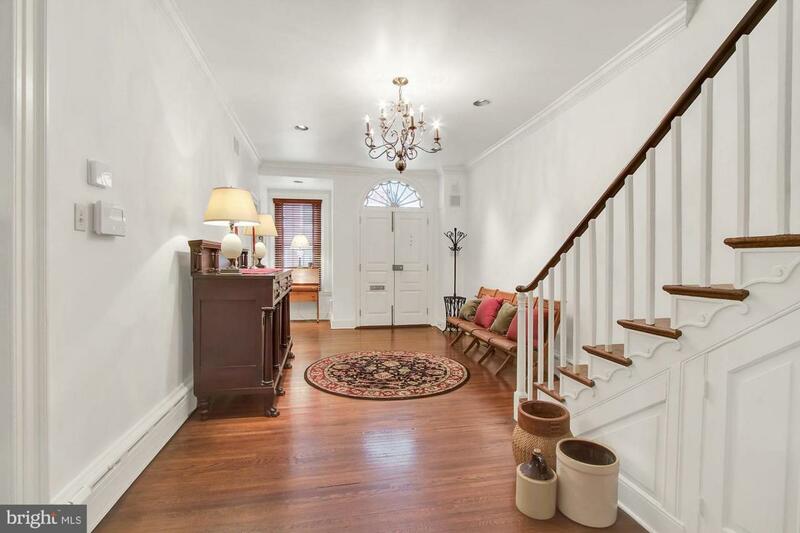 Featured in Lancaster City this Stunning Historic Home was built in 1749 and has been thoughtfully and thoroughly updated, remodeled, and cared for. 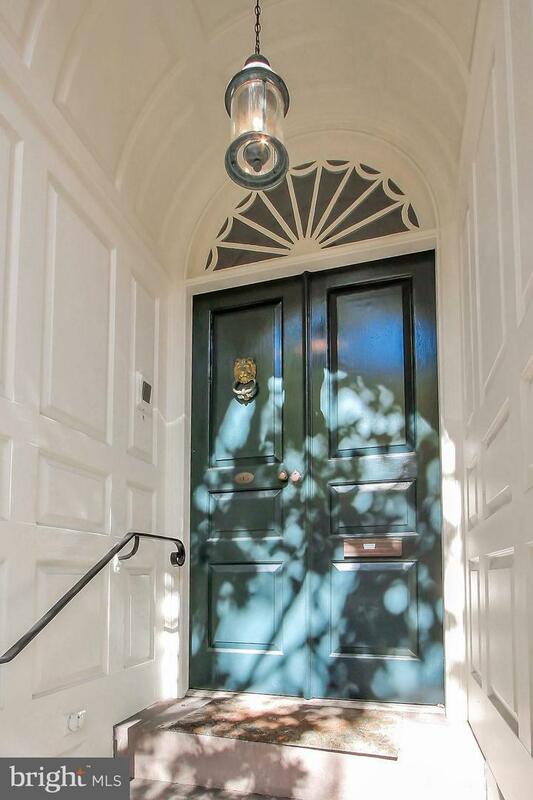 It was once home to James Buchanan before he became our 15th president. 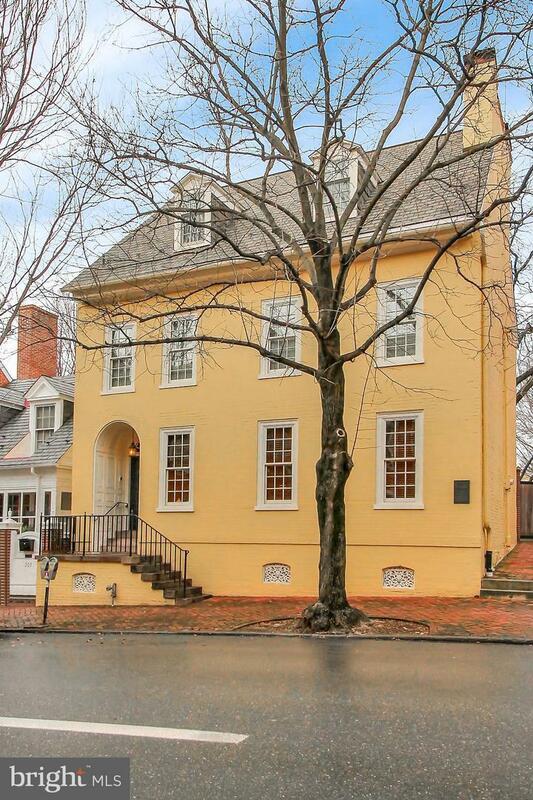 It was also home to the Revolutionary war diarist Christopher Marshall and now it can be yours!! Located in the City of Lancaster Historical District the main home has 5 bedrooms 3 full baths and 2 half baths in the main home with over 4,500 square feet of living space. The main floor holds a formal sitting room and family room (currently being used as an office, an impressive dining room, large cooks' kitchen, and a delightful breakfast room. 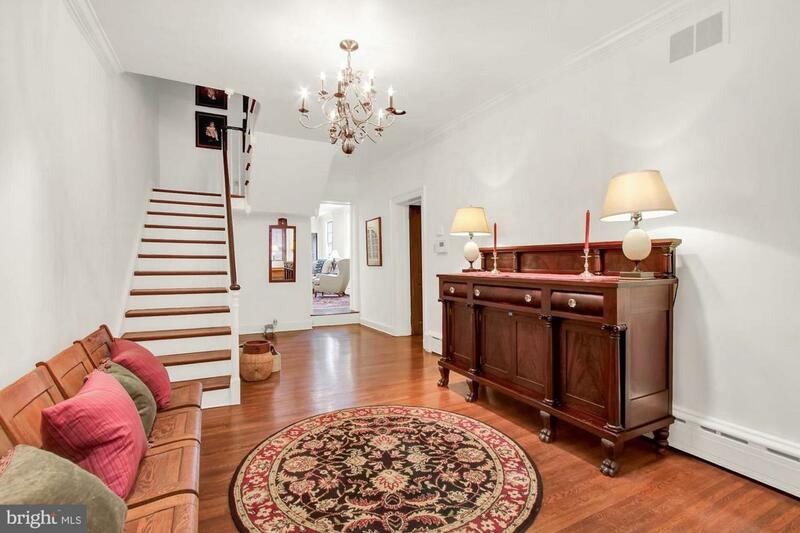 Both the living room and family rooms have built in cupboards and shelving with brick fireplaces as focal points. An immense dining room has a charming corner fireplace adorned with hand-painted tile. The kitchen has been redone and boasts red rose custom cabinets, soapstone counter tops, stainless steel appliances, and radiant floor heat. Off the kitchen is a bright, cheerful breakfast room with a brilliant view of the courtyard and carriage house. The master en suite is located on the second floor and has a magnificent updated master bath that includes a soaking tub and an oversized walk-in glass shower. The guest suite enjoys its own private bath and a brick fireplace (currently used a sitting room). A beautiful courtyard has been designed and professionally landscaped with Carolina gas lanterns, landscape lighting, and a slate patio. All of the sidewalk bricks were reused to retain the patina and history of the property. The four-car garage features a central vac system, a lift compressor, and a wash bay with floor drains. Over the garage is a newly renovated apartment with another kitchen, bedroom, living room, and full bath offering the options for use as a guest house or possible rental property. The driveway and sidewalks are equipped with a sensor snowmelt system. Other features include the 1st-floor offer surround sound, the doors offer a keyless locking system, and the driveway gate comes equipped with a camera and a call button to allow you to provide access for guests and deliveries. The home is close to major highways yet within walking distance of restaurants, theatres, art galleries, shops, and H.M.Musser Park. Call to schedule your private showing.